There’s nothing we love more than a themed birthday party for our little ones. And when it comes to our kids’ party, there’s every excuse to go festive, flashy and fun. But having an amazing themed party may be a little tedious and time-consuming. In every aspect, there’s this question: “Does it match the theme?” Good thing there are a lot of resources that we can go to when planning the biggest and most awesome bash on earth. From colorful party invitations to stunning party themed printable designs, one business always come to mind, Tiny Papers. First thing’s first, invitation! How else are you going to announce that you are throwing a grand celebration than sending an invite! In this day and age, there’s always e-mail and chat apps to send over your invites, but nothing beats an old-fashioned paper invitation sent to our loved ones and guests. Your invitation is the introduction to your party. 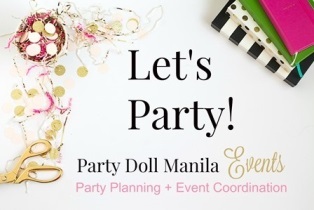 It reveals the theme of your party and the event details. It will set the stage or mood of your party. Plus, it may also serve as a souvenir that one can display or collect. Tiny Papers have a variety of themes so you are sure that you’ll find one that your little one would love. From magical unicorn, princess castle, pirate treasure hunt, fun carnival, and everything in between. They promise premium designs and paper goods for your little ones. Check out some of their amazing artworks! And to keep the theme flowing through in all aspects of your party, one would need paper designs or printables. Not only will it make your event look amazing, it will also add a festive feel. Party goers will always be reminded of the theme anywhere they look. Plus, the uniqueness of your design will also make your event stand-out from other events with the same theme. So, look no more, as Tiny Papers got you covered with an array of ideas to choose from. They sure will help you create a brand for your own party to make it distinct. Cue the spot light, throw the confetti and drum roll, please! Tiny Papers very own Coachella-Themed Party Printable Set is now available for FREE DOWNLOAD for all you party planning mommas out there! You’re welcome! One of the most beloved themes at this time is the Coachella Music and Arts Festival theme. I’m sure your boho-loving soul is in the look-out for breath-taking backdrops and printables that will catch your eye. Keep calm, as Tiny Papers is kind enough to share with us a sample of their Coachella-themed printables.